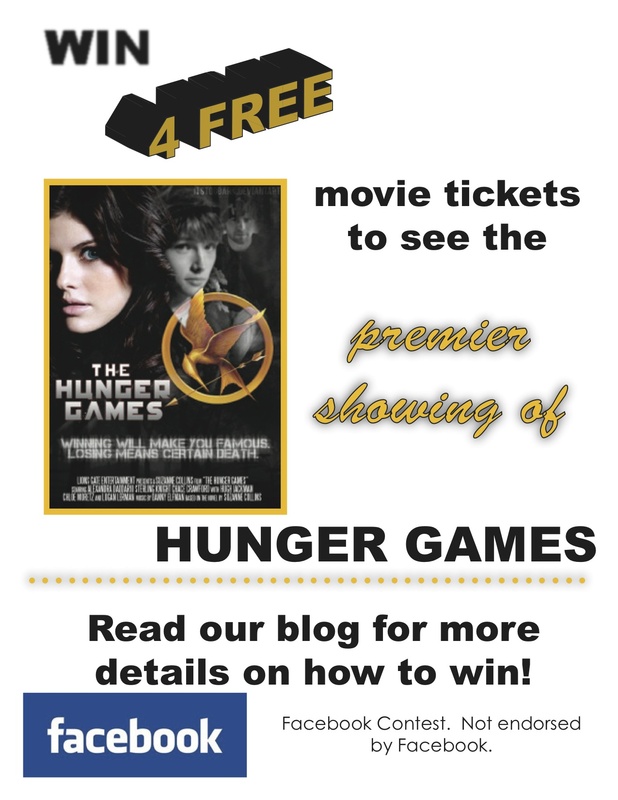 Win Premier Movie tickets to the screening of Hunger Games!! This promotion is in now way sponsored, endorsed or administered by Facebook. You are providing your information to Dr.Kjar’s Plastic Surgery Practice and Candessa Aesthetics. The information you provide will only be used to communicate/updates from our office and will not be sold to any 3rd parties. Contest starts on Saturday, March 17 2012 and will end on Wednesday, March 21 2012. No purchase is required to participate in the prize drawing. Prize can not be combined with any other offer or promotion. By participating in this Contest participants and winner grant Dr.Kjar’s Plastic Surgery and Candessa Aesthetics exclusive permission to use their names, location, characters, photographs, voices, and likenesses in connection with promotion and waive any claims to royalty, right, or remunneration for such use. By participating, the winner waives any and all claims of liability against our company. Each participant may only enter one (1) time during the contest period. The Sponsor reserves the right to disqualify any entrant at any time for any reason whatsoever. In the event Sponsor determines that the Contest is compromised by causes beyond its reasonable control, we reserve the right to suspend, modify or terminate the Contest at any time. If the winner cannot be contacted after the first attempt to contact him/her, another winner will be selected. This winner will be the entrant chosen randomly in 2nd place. You are not eligibile to win this prize if you have won a Facebook Fan contest through Dr.Kjar Plastic Surgery or Candessa Aesthetics in the past. Prizes are not transferable. No substitutions of prize allowed by winner, but we reserve the right to substitute a prize of equal or greater value. Prizes are not redeemable by winner for cash value.